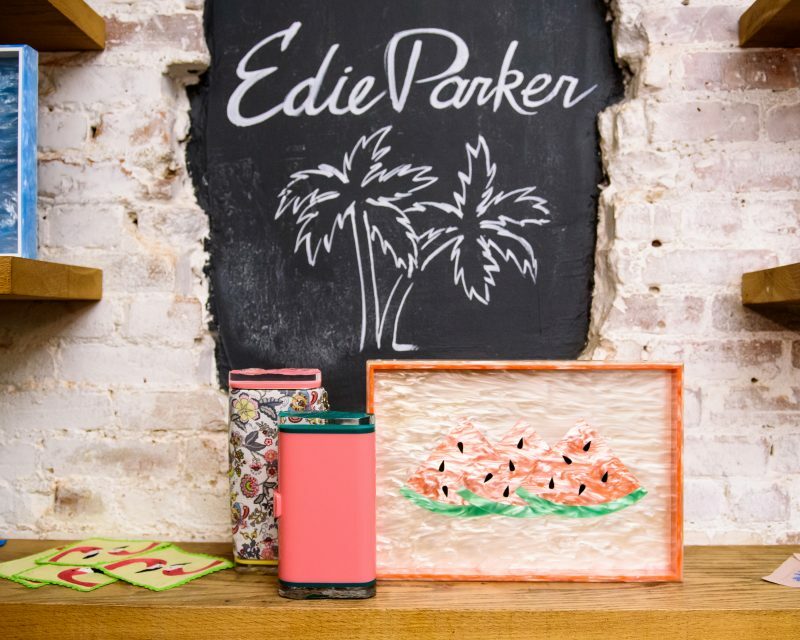 Designer Brett Heyman is taking her vintage-inspired lucite clutches and home decor pieces for Edie Parker to 1stdibs. 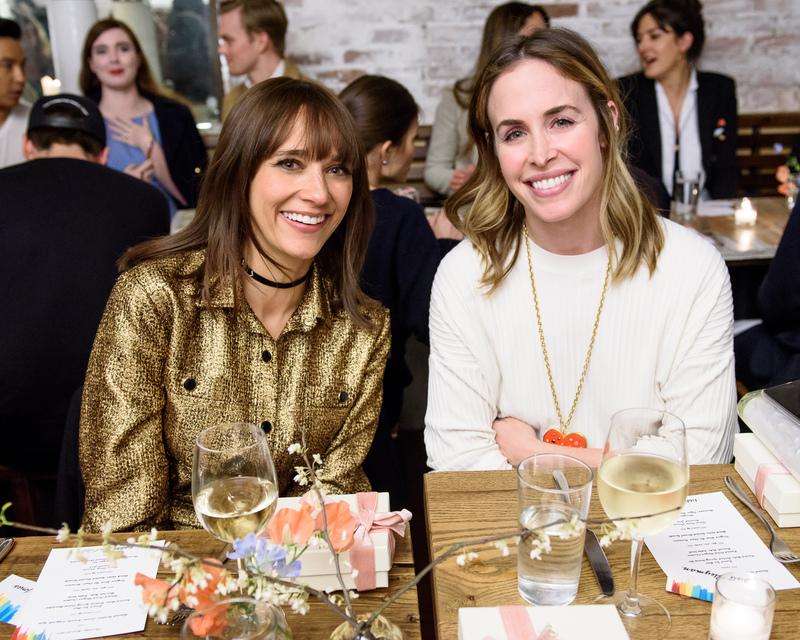 To toast the affair, Rashida Jones, Prabal Gurung, Wes Gordon, 1stdibs’ David Rosenblatt, Architectural Digest EIC Amy Astley, Candy Pratts Price, Cipriana Quann, and more joined Heyman for a chic feast at Soho’s The Fat Radish. 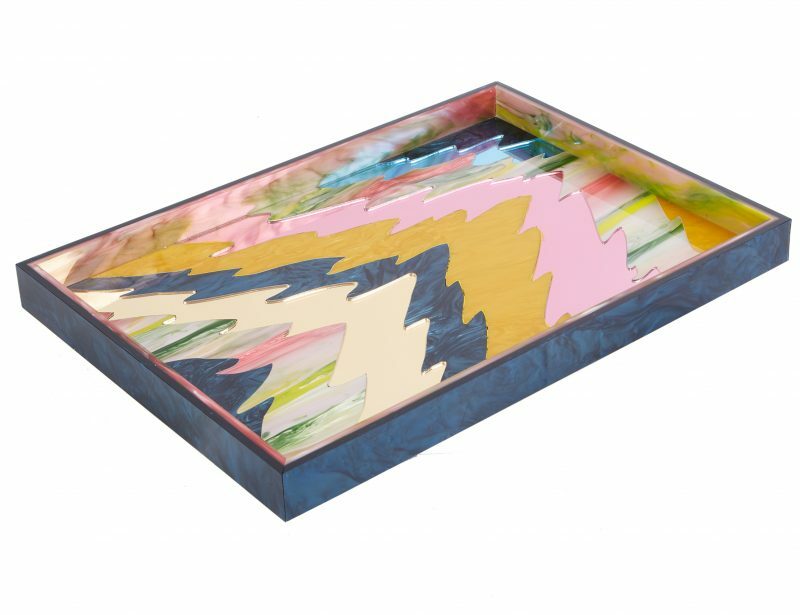 Alongside her popular lucite clutches, refurbished vintage trays, a magazine stand, coasters and more home items will be available exclusively at 1stdibs. Heyman fills us in on the homey chic collab. 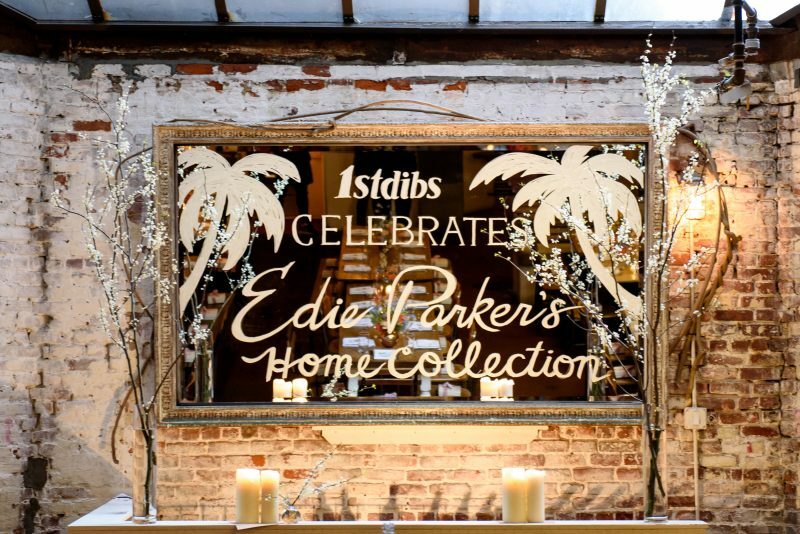 Brett, how did Edie Parker come to collab with 1stdibs? I don’t know, but I’ll tell you what I think happened [Laughs]. So David Rosenblatt [CEO of 1stdibs] is my neighbor in Connecticut. And I know that 1st Dibs internally was having conversations about having some more contemporary stores on the website. They don’t want everything vintage or secondhand. I think what happened is someone mentioned Edie Parker in a meeting and he recognized the name because he knows me, and he thought it was a good idea. This was well over a year ago because they approached me when I was just doing handbags. I said I’d love to, but we’re launching home pretty soon, so why don’t we wait. We launched in Bergdorf and on our site awhile ago to test it. It’s given us the confidence to expand. 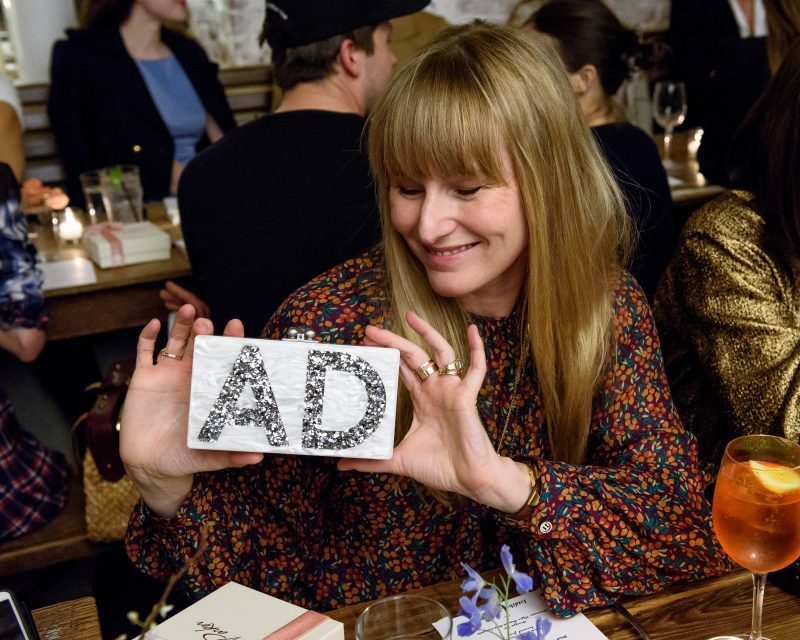 How did you choose what to feature on 1stdibs? Some of the pieces are available elsewhere, but there’s a lot that’s only available on 1stdibs. 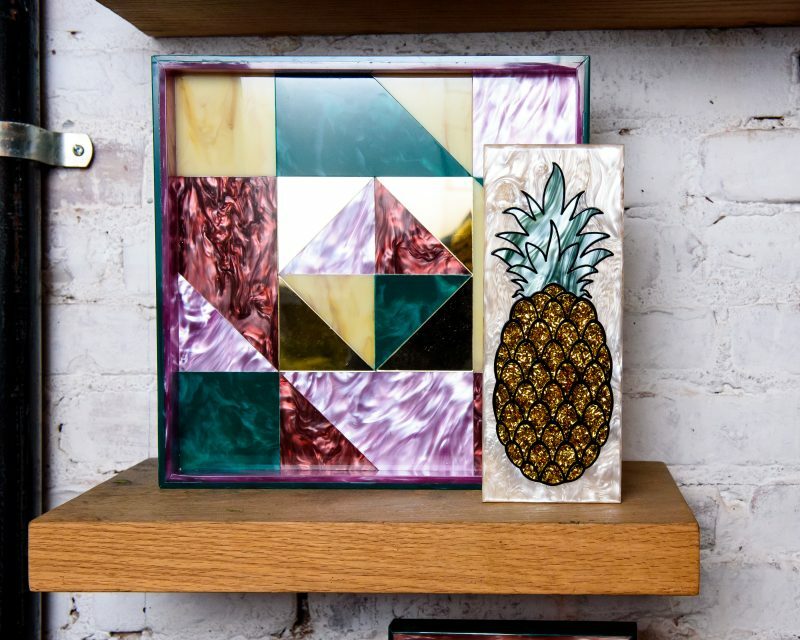 We felt like the customer is fairly experimental and has a great sense of design and can take risks with home accessories. When we first launched home we were a little bit safer. We did trays and coasters in colors that did really well with our bags, and they’re very neutral. 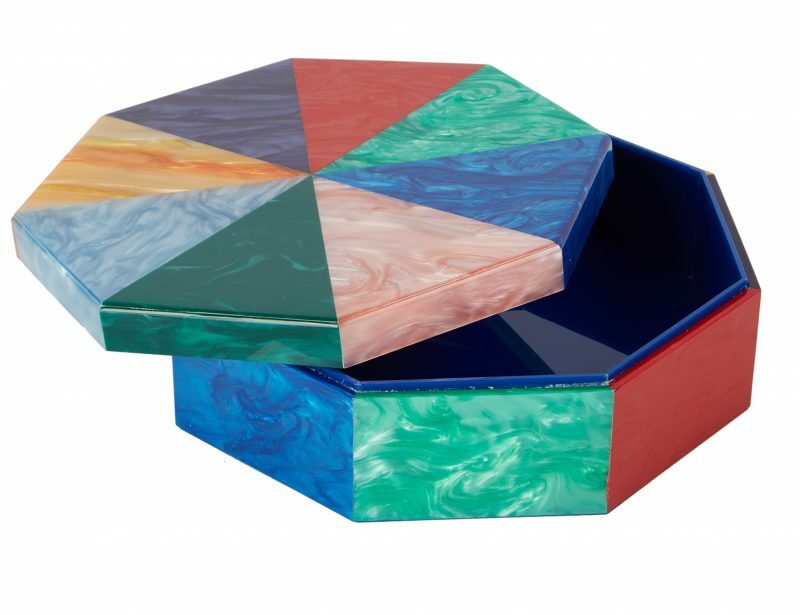 On 1stdiibs, it’s a lot more malachite acrylic and lapis and bones and marbles. We felt a little bit more liberated. What’s your personal taste in home decor? Well I’m a lucky girl and I have two homes, and they’re very, very different in style. In New York, I’m midcentury everything in super bright colors and textures, layered…it’s like a sensory overload. Because of that, when we bought a house in Connecticut, we went the opposite way. It’s totally muted, a lot of green, and it plays with the garden outside. It’s a place to decompress and relax. I appreciate all kinds of design for the home. What is your most treasured piece of vintage decor? 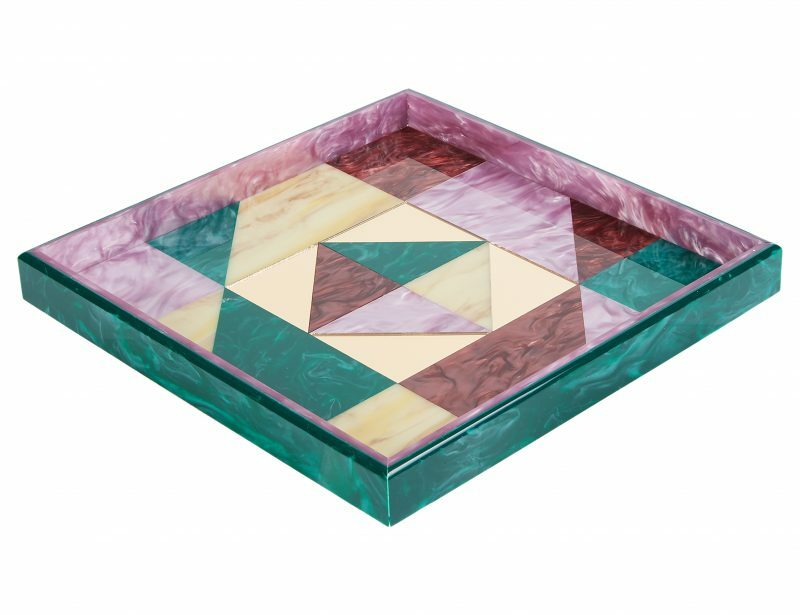 In New York I have this black and malachite coffee table. I bought it a long time ago before 1970s furniture got so expensive. I am obsessed with it. What are your best antique shops for furniture? I recently discovered in Connecticut the Elephant’s Trunk. It’s one of New England’s biggest flea markets. I didn’t really have the wherewithal before, but what I learned is the art of refurbishing things that you buy. It has opened up so many doors for me! 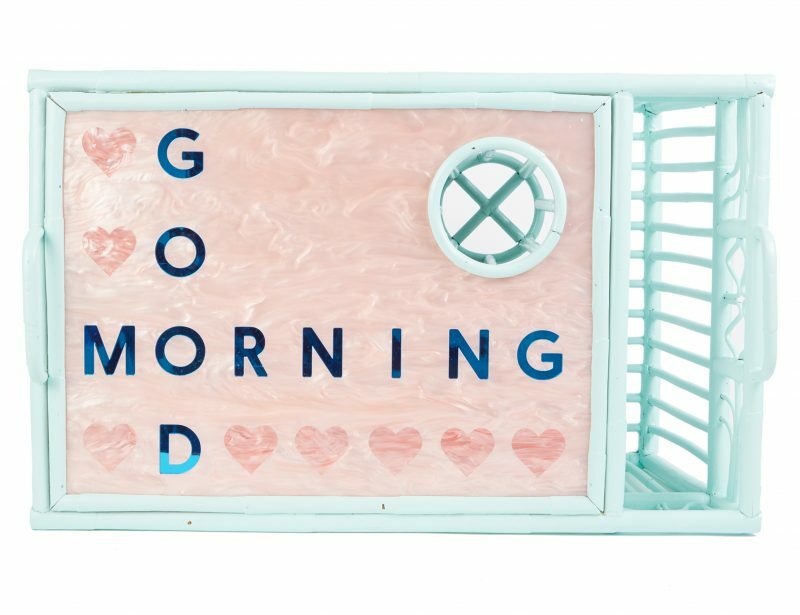 I would buy a bunch of things at the Elephant’s Trunk or other flea markets and repaint them or refinish them and pop off the tops. 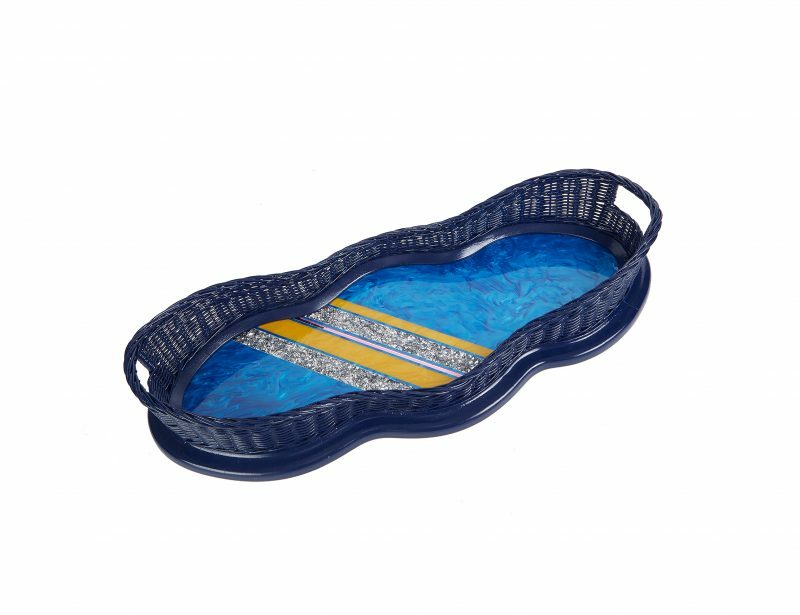 There’s a couple wicker trays or breakfast tables in the collection, where we took the bases that are wicker or metal, spruced them up, and made these amazing acrylic tops. They look spectacular, in my opinion. I’m pretty crafty! I won a pottery award in high school, and I spray painted these outdoor chairs in Connecticut. I like to get my hands dirty! What is a decor trend you’re loving? I love in fashion and decor this sense of emotion and color and kind of Baroque embellishment. I like a “more is more” home aesthetic. 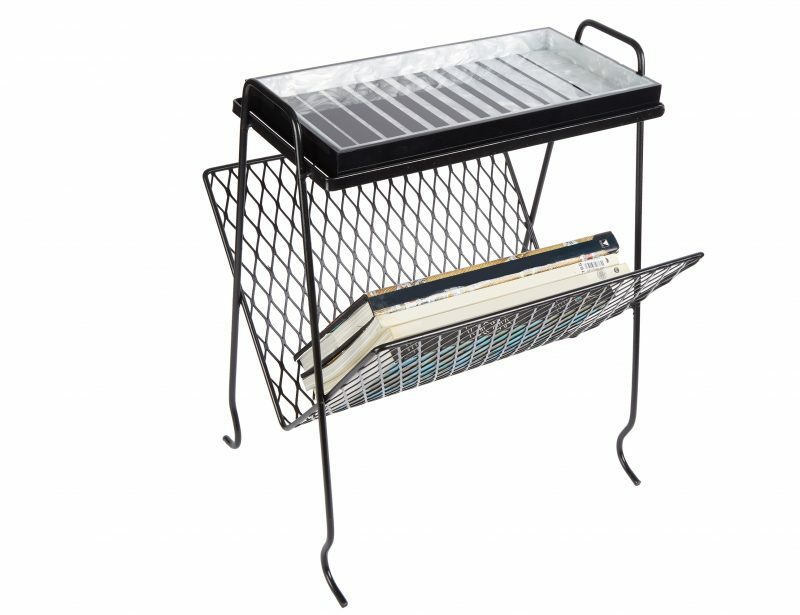 What are some recent vintage fashion purchases you’re extra pleased with? I recently got on 1st Dibs this sterling silver starburst cuff and I’m obsessed with it. More recently from Rare Vintage, before it closed, I got this really cool Versace Eighties power suit with gold coins that I’m waiting for an appropriate moment to debut. I don’t know where I’m going—that’s the problem with vintage, and shopping for me in general. I don’t think I shop for the life I actually lead. I totally shop for a fantasy life where I wear Eighties power suits!